I adore Fashion Designer Jason Wu so I thought I would celebrate his genius this week. Not only do I regard the lines of his clothes; but also the construction of his bags. 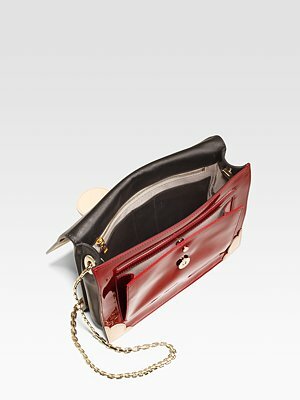 You must treat yourself this Fall with Jason Wu's structured, ultra-sleek shoulder strap bag called Jourdan. 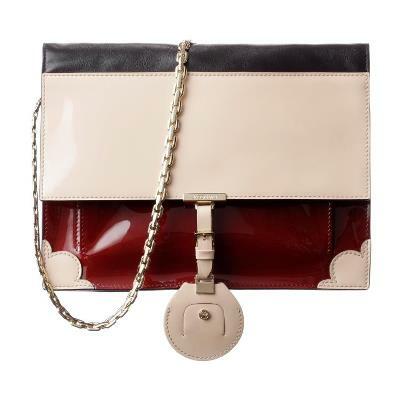 It is combination of polished red patent with paneled Saffiano leather. The red color reminds me of my favorite Shiraz wine. 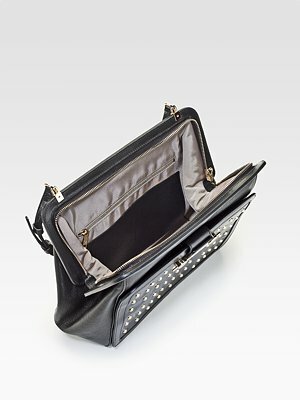 It features outside open pockets under the magnetic flap closure and has one inside zip pocket. The gleaming 21" gold-tone chain strap will look dazzling over any fashionista's shoulder!! Its available at Sax Fifth Avenue. 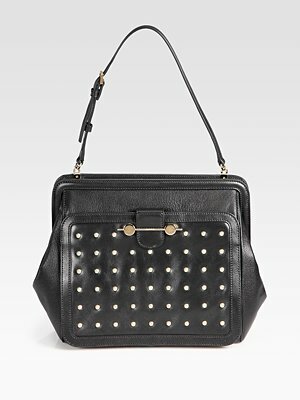 Feel fearless wearing the Stud Accented Satchel. Another beauty! Its edgy details make it super fierce! It features an adjustable shoulder strap with one outside open pocket and one inside zip pocket. Also available at Sax Fifth Avenue.